This caravan from Bailey features a hugely popular family layout, with triple fixed bunk beds to the rear, side dinette, end washroom, and front 'U' shaped seating. The Ancona feels really spacious even when there are 6 of you in the van! The Pegasus is well finished with a good level of specification including AL-KO ATC, external BBQ and mains points, full oven and grill, fridge and microwave. 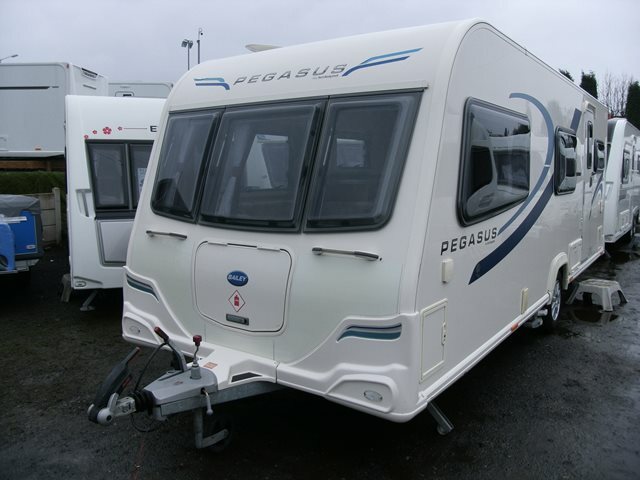 These six bertha caravans don't last long so be quick! For more information please contact us on 01384 413336 and ask for the sales team.